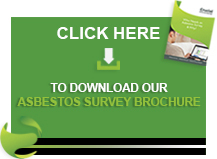 Are you interested in asbestos office strip out? With years of asbestos expertise, Crucial Environmental can offer a complete range of asbestos stripping and demolition services. We have extensive experience carrying out dismantling processes, as well as the removal of asbestos waste. Our work is carried out in full compliance of environmental laws and guidelines as well as health and safety regulations. With offices located in the South East of England and the Midlands, we can provide a full range of asbestos services across the UK. Contact us today for more details on what we can offer you. If you are stripping out an office or commercial property are worried about asbestos that could be present, we can help. We start with an asbestos survey to understand the current condition of the asbestos on your property as well as the specific requirements of the material. We can then carry out full asbestos removal and soft strip demolition. This provides an extremely cost-effective solution. You also have the convenience of using a single contractor through the entire process. We allocate a supervisor to oversee the project through from the beginning to end enabling the client to have a single point of contact with ourselves to avoid confusion during the project thus ensuring that strict deadlines are met. As a part of our strip out services we can carry out light demolition. We carefully dismantle and strip out within the demolition area with a safe and controlled approach. We can break concrete on floors, interior walls and ceilings while still maintaining perimeter walls. We have a green approach to disposal of waste. We recycle when possible and are always sympathetic to original architecture. If you would like to learn more about our asbestos stripping services and light demolition, please don’t hesitate to get in contact with the team today. You can call us directly on 01903 297818 where a friendly member of the team will be happy to provide you with any details you need. Alternatively, you can use our contact form to send us a message and we will get back to you as soon as possible.